As the sun rose higher in the sky, people began to appear from their various sleeping spots around the boats. Breakfast was then eaten on deck, before the three yachts set sail. Although we had intended to buy enough supplies to last a few days, our food was again running low, so a stop was scheduled at Hydra. 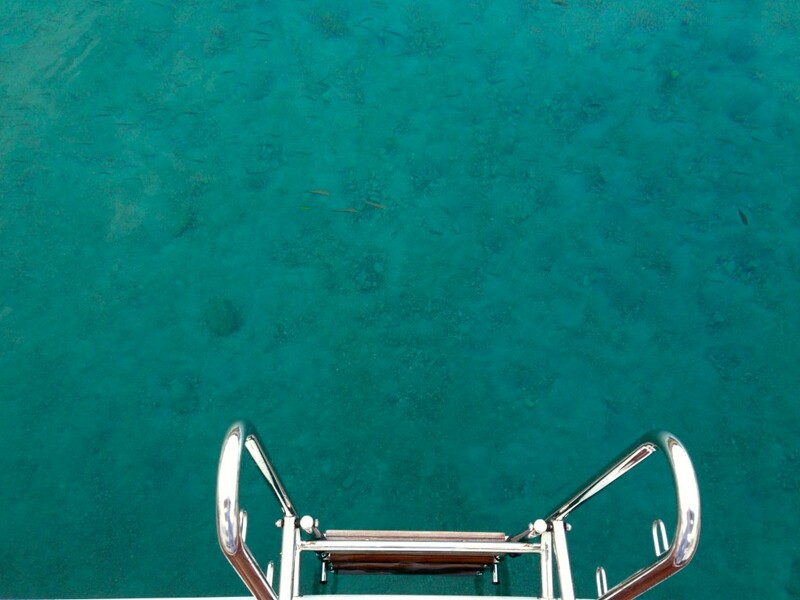 Crystal clear waters at anchor off Dhokos made for a very inviting morning swim! 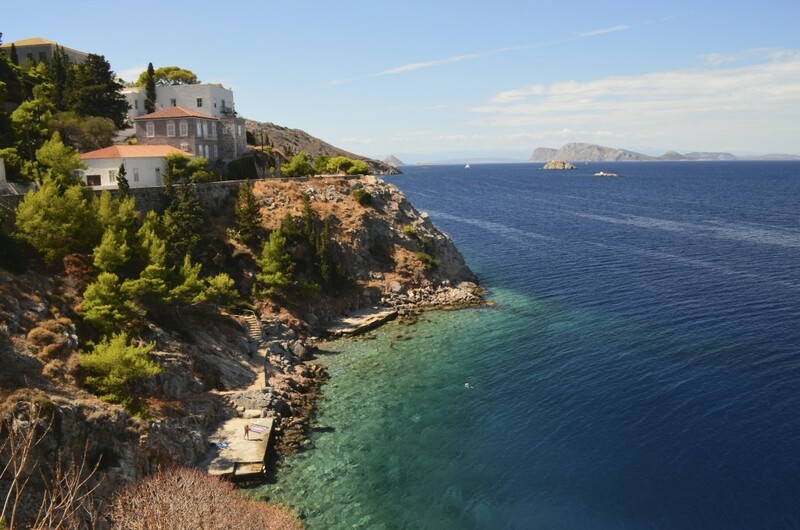 And what a beautiful stop it was; we could definitely see why Hydra is considered a celebrity hideout! It was a stunning island with breath taking views, idyllic scenery and, as there is no transport on the island, streets filled with donkeys. Needless to say, we took A LOT of photos of the donkeys. 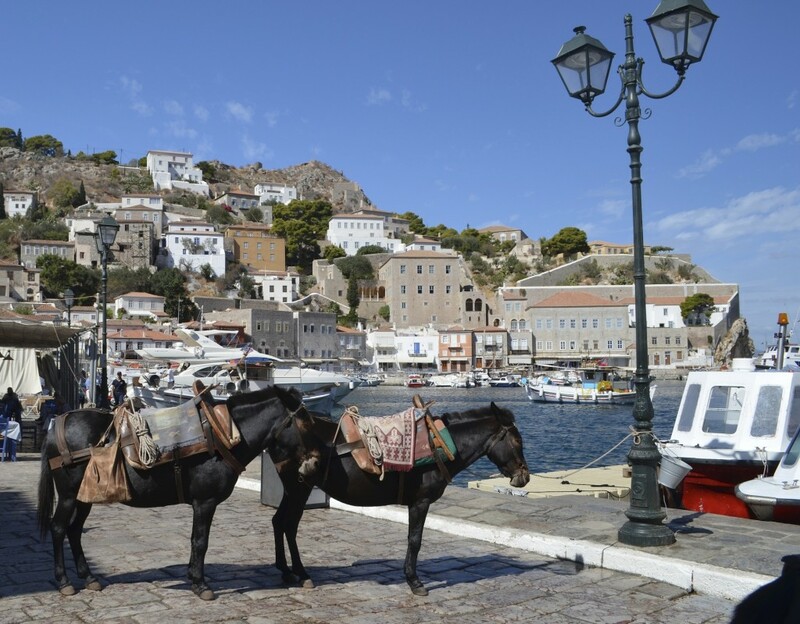 Donkeys are the sole means of transport on the island of Hydra – no cars at all! The lack of cars also meant that the island was serene and great for having a few hours away from the boats. We had some time to explore the island, so I bought some delicious frozen Greek yogurt and spent some time meandering through the small cobbled streets. Although there weren’t many buildings on Hydra, the number of souvenir shops almost matched the number of restaurants and bars around the port (what more could a group want?). Of course, souvenir bracelets were purchased and with a tackiness that is only ever acceptable on holiday! Hydra is the most perfect mediterannean town you will come across. It is so popular you are lucky if you find a spot to moor up! 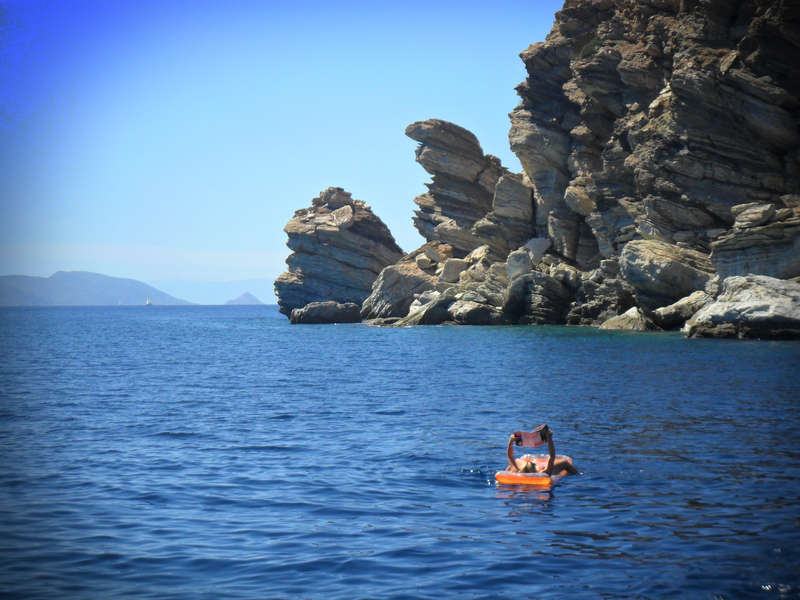 But there was more to Hydra than just the gorgeous port. After re-stocking our yacht, we went for a walk past the shaded restaurants to see what lay around the side of the island. The views that we found were spectacular! Hydra really was a paradise. All too soon it was time to return to the boats for another wonderful lunch. 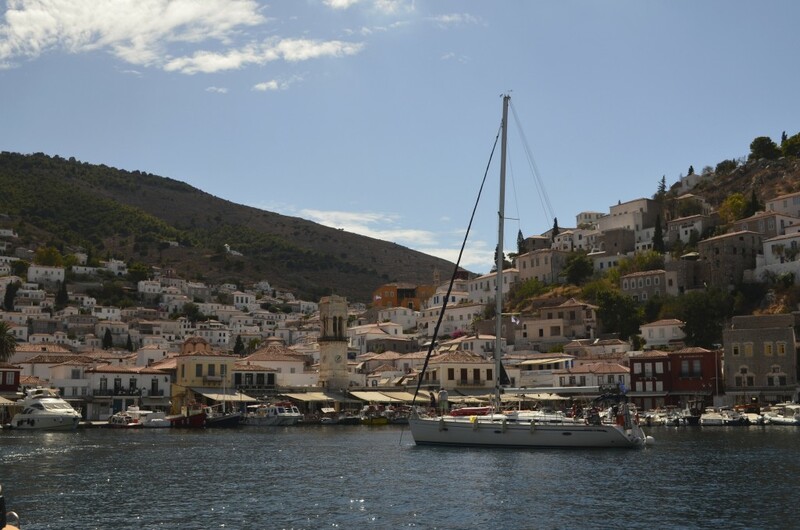 In the afternoon, the flotilla left Hydra on our way to Marathon, where we would spend another night at anchor. On the way we stopped again at Skilli, but this time on the other side of the island. There, the rest of the afternoon was spent reading magazines on deck, listening to music from the boats and (of course) swimming; we could never get enough of the inviting water! As the sun began to set, we anchored at Marathon for our last night at sea. Like the night before, we cooked dinner on the yachts and wiled away the evening with the perfect combination of talking and dancing (literally ‘in the moonlight’). 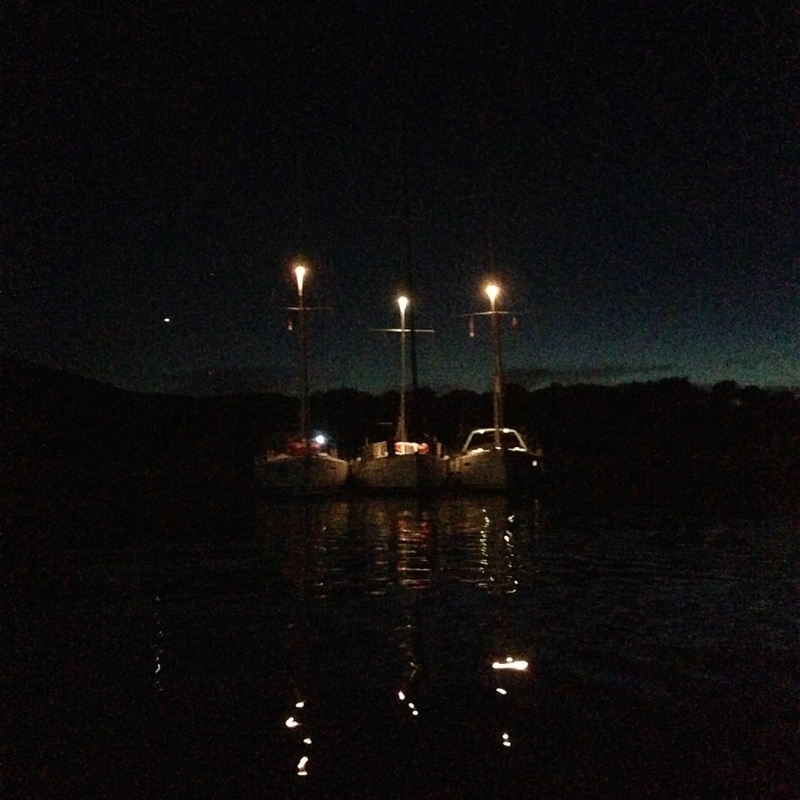 Tomorrow will see Jen’s diary entry of Day 6 – a busy final day of her week with The Big Sail, involving a final swim in the warm Greek sea, halyard swinging (some say the highlight of the week!) 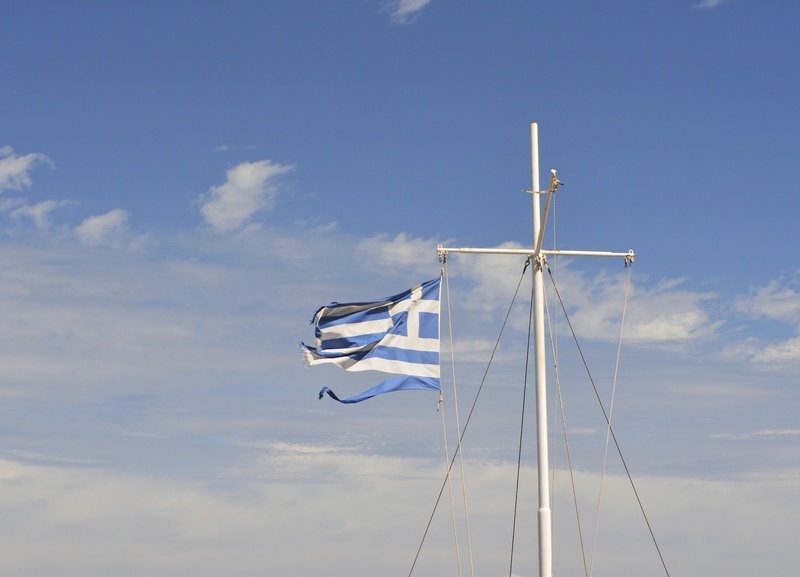 and a final sail back to Athens! To see an overview and interactive map of the whole route see this page: WHERE DOES IT ALL HAPPEN?